While there are several download managers that can handle the task of downloading and sometimes uploading stand-alone files from the Internet, getting a nifty software with unique system of sorting and keeping the downloaded content doesn't come easy. Folx 5 Downloader for Mac is a free download manager for Mac OS X featuring a true Mac-style interface, with convenient flexible settings for easy downloads managing, offering a unique system of sorting and keeping the downloaded contents. Folx 5 UI deviated from the rather out-of-place brazenly flaunting background that followed after Apple’s obsession with skeuomorphism styled theme, bringing a completely redesigned, Retina-friendly, compelling UI for Mac. What's under the hood of Folx 5? Asides the aesthetics, Folx 5 offers a full-fledged torrent client with support for magnet links, with more straightforward settings that allow you to assign downloads with one or more tags, making it easier to find the item in the list by clicking on the entries. For beginners, Folx's plugin that “catch” downloads from the major browsers like Safari, Chrome, Firefox, or Opera browsers, allow the application to take over your downloading routine. It also splits transfers across two threads to make files download faster; while the plugin works more reliably and if the download is interrupted, the software will automatically resume from the left off point. Apart from ability to download files from torrent trackers, Folx allows you to download using magnet links as well, which means you do not have to save a separate file before starting the actual download, which is convenient, as it conceals the fact that you are using P2P technology. Do you want to go Pro? 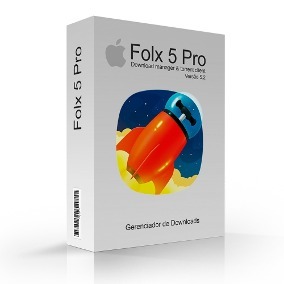 Albeit the free version is fully capable of the most basic downloading tasks, it is highly recommended to upgrade to Folx 5 Pro to experience some more awesomeness. The pro version brings additional feature like spliting downloads across up to 10 threads, with an on-the-fly granular control over the transfer speed for each task by simply clicking on the gauge icon. The upgrade also elevates Folx into a YouTube downloader, which includes a handy audio-only option for music freaks. And the Pro upgrade is not only able to download torrents, but also search for torrents. Additionally, it offers a password manager (though the free version allow you to save data for two websites only, with the Pro version there’s no limit), which is handy if you frequently download from websites that require authentication, Folx makes the process automatic; but you can opt to manually add host, username, and password credentials. Folx download manager is a super solid software product out of the box! And If you're among the crowd involved in the good side of torrenting, Folx 5 Pro is highly recommended as it will not only make your experience easier, but safer too! Folx 5 Downloader for Mac: Manage downloading tasks like a Pro!